As most of you are aware, I am an affiliate of Amazon.com, which means when you click through links on my site and then go on to purchase items on Amazon, I get a small percentage of the sale. The income helps keep this blog running. On July 11th, Amazon is having its special Prime Day with additional specials for Prime members. If you've thought about getting Amazon Prime but haven't yet, now would be a great time so that you can take advantage of these great deals. We have saved so much money using Amazon Prime, primarily through its free shipping policy but also through movies and television programs. I highly recommend it to anyone who purchases more than a couple items on Amazon a year. You can even try Prime for free. Find out more about Prime and about the upcoming Prime day here: Amazon Prime and thank you for supporting this blog! Mother Mary: Inspiring Words from Pope Francis (Franciscan Media 2017) features excerpts from our Holy Father’s writings, homilies, prayers, talks, and tweets. 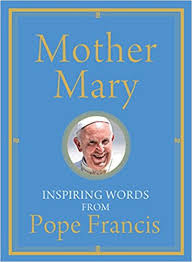 Edited by Alicia von Stamwitz, the quotes are divided into various general groupings: Handmaid of the Lord, Model of Faith, Mother of Mercy, Our Refuge and Our Hope, Star of the New Evangelization, and Queen of Peace. Pope Francis’ words always provide much food for thought and this collection is no exception. While it can be read cover to cover, the quotes are probably best taken in small doses, perhaps even a page a day so that they can be reflected and meditated upon. Our Pope has a deep devotion to our Blessed Mother and frequently offers her as the perfect model of the Christian life. We have so much we can learn from his words and her example brought together in this collection. This blog covered a wide range of subjects including: baby name suggestions, holiday specials, service trip information, book reviews, grief, technology, etc. There was an abundance of content, which made evaluating each article nearly impossible, but demonstrates a commitment to the blog and to providing the readers with interesting and diverse content. CatholicMom.com has received this award each year since 2014, and each and every one of CatholicMom.com's over 125 volunteer authors deserve congratulations for their generosity in sharing their encouraging, helpful, entertaining and thoughtful work. We encourage our readers to show appreciation for our wonderful authors by leaving comments on articles that touch your heart, or by sharing them on social media or via email. 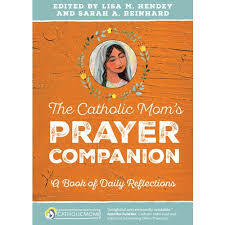 The Catholic Mom's Prayer Companion contains daily reflections for parents written by a variety of talented authors. Each day begins with a quote from Scripture, Saints or notable persons. The reflection which follows is short, personal and meaningful. A short personal prayer and a thought to ponder follow the reflection. The book is a treasure for all seeking wisdom, hope and interior peace. The Catholic Mom's Prayer Companion (Ave Maria Press, 2016) is an inspiring collection of daily reflections written by over eighty Catholic moms, dads, and friends. Some of our CatholicMom.com authors won awards in other categories for their books; check out the complete list of Catholic Press Association Book Award winners. You can also see the winners of Catholic Press Association Awards in print media, art and new media. Lift up Your Heart: A10-Day Retreat with St. Francis de Sales by Rev. John Burns (Ave Maria Press, 2017) is an updated version of St. Francis de Sales’ meditations, originally published in 1609. Fr. 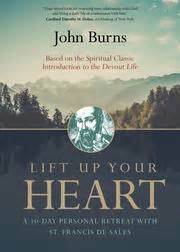 Burns discovered these meditations during a time of his own spiritual searching and seeks to share them with a new generation. The ten meditations are: On our Creation, On the End for Which We Were Created, On God’s Benefactions, On Sin, On Death, On Judgment, On Hell, On Paradise, The Election and Choice of Heaven, and The Election and Choice the Soul Makes of a Devout Life. As the list reveals, there are some weighty topic included in these meditations. People today don’t tend to spend much time contemplating the evil of sin or the pains of hell. But the meditations speak to questions that every individual wrestles with in life. Who am I? Why am I here? What is the purpose of life? What happens to me after I die? For those who would like to read the original meditations, they are included in an appendix, however Fr. Burns has achieved his goal of updating St. Francis de Sales’ meditations for today. He writes in an accessible style appropriate for teens and adults. Reading about and meditating on the subjects of Lift up Your Heart has the power to transform your life if you are willing to make the choice to live for God. St. Rita, Advocate of the Impossible, pray for us. Recite the Our Father, Hail Mary and Glory Be to the Father, three (3) times. Blessed be God, the Father of our Lord Jesus Christ, the Father of Mercy and God of all consolation, who through the intercession of St. Rita, comforts us in all our tribulations. Amen. 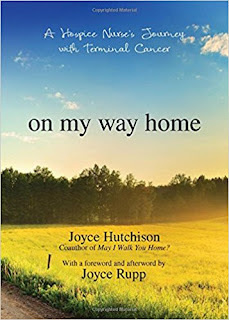 Hutchison was an oncology nurse who had treated many people with terminal cancer. She lived by the precept she was taught in nursing school that when she was taking care of patients, she was taking care of Jesus. She walked with many as they faced death, and then she had to face her own battle with terminal lung cancer. She hoped that in sharing her own experience in facing death she could help others who care for the dying. She shares her own story with painful honesty. While she believes death is a natural part of life, she nevertheless finds herself scared of the end. She feels great pain at having to share the bad news with her children, and suffers through the exhaustion of chemo, and has to face the strain on her marriage and the loss of personal dignity. Yet through it all she trusts in God and acknowledges that the painful process has brought her closer to God because there are many days when all she could do was be still with God. We tend not to think about death until we have to face either our own mortality or that of someone close to us. 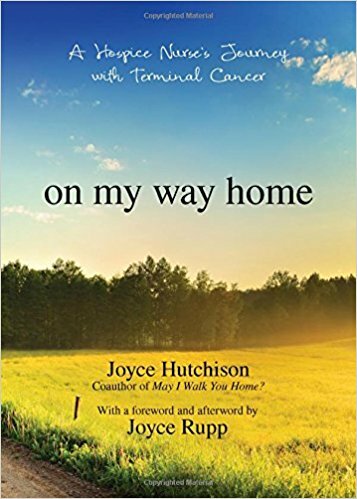 On My Way Home invites us to think about the process of dying and offers suggestions of how to better accompany someone on that journey. Hutchinson’s unique perspective as one who cared for the dying and how facing her own diagnosis changed how she would have cared for patients is extremely valuable, especially for those in the medical field or who work in hospice care.